A Transit Friendly Destination is a business, organization, institution, association, government agency, park or non-profit that actively promotes transit ridership for employees, customers, and guests. In 2017, Cincinnati was ranked #1 on Site Selection’s Sustainability Rankings. 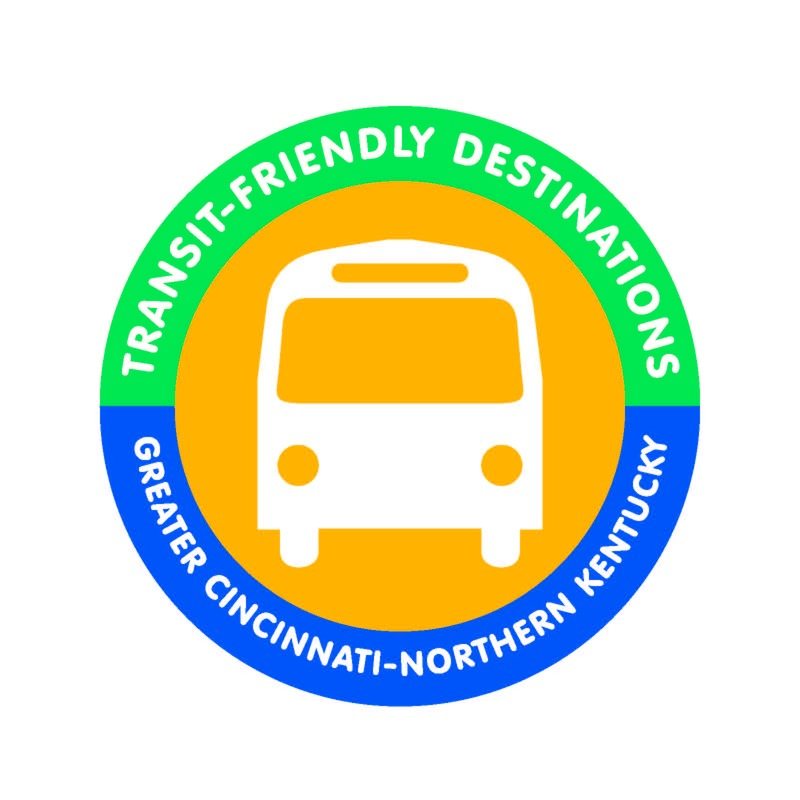 Not only will you become a part of this regional trend as a Transit Friendly Destination, you can take advantage of the many benefits that transit offers. Providing pre-tax commuter benefits can save businesses money. For offering pre-tax commuter benefits, the federal government allows businesses to withhold up to: $260 per month for commuting and $260 per month for parking. For employees, taking public transit instead of owning a second car can save them almost $10,000 a year! According to the American Heart Association, public transit is linked with better health. Individuals utilizing alternative transportation methods such as buses and bikes are 44% less likely to be overweight, 27% less likely to have high blood pressure, and 34% less likely to have diabetes. Commuters reduce their crash risk by more than 90% when they use public transit. Not only are transit trips 10 times safer than automobile trips, transit-oriented communities experience half as much crash risk than those that do not use public transit. Transit options use significantly less energy to transport one passenger one mile. For example, a bus with seven passengers is more energy efficient than a single-occupant car. Because of this public transportation is responsible for saving 4.2 billion gallons of gas every year! Busing emits 20% less carbon monoxide, 10% as much hydrocarbons, and 75% as much nitrogen oxides per passenger mile compared to single-occupant automobiles. Biking produces even less air pollution! According to the American Public Transportation Association a $10 million investment in transit can translate to about $32 million in increased regional business sales, and boost residential property values near transit by more than 40%. A recent study estimated that the overall hidden economic value of public transit could be up to $1.8 billion per year per city. Access to public transit increases economic and social opportunities for non-drivers and others who may be economically, physically, or otherwise disadvantaged. Plus, as an employer, you increase the pool of employee applicants when more individuals can access your location! Studies have shown that taking public transit can free up significant time. Not only can you work or relax while you ride a bus, or get in a workout while you bike, Americans living in areas with public transportation save nearly 850M hours of travel time each year due to decreased congestion and commute time.